What Do You Know About Pinhole Gum Grafts? When you develop gum disease, both the health and appearance of your smile suffers. 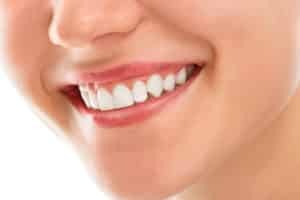 In addition, the disease has been linked to other illness and can even increase the likelihood of a patient losing one or more permanent teeth. Fortunately, we offer a number of treatments to manage the disease and protect the stability of your smile. What do you know about pinhole gum grafts? True or False: Soreness or redness in the gums could be a warning sign. True or False: Pinhole gum grafts restore your gingival tissue. True or False: The procedure doesn’t require traditional surgical cutting. True or False: Afterward, you can help your gums stay healthy with preventive dentistry. True. You should see a periodontist when you notice changes to your gums. If your gums appear more red, feel sore, or bleed easily, such as when you brush or floss, then you need to see your doctor. Receding gums are also a common warning sign. Don’t ignore warning signs, as gum disease can increase in severity and eventually lead to the loss of one or more permanent teeth. True. We can use this procedure to address gum recession. The doctor will first make a small hole in your gums. Then, using special equipment, Dr. Kania will manipulate the gums back into their optimal position. Then, a collagen material is inserted into the gums between the roots and gingival tissue to help the are heal. True. Dr. Kania won’t need to make traditional incisions into the gum tissue. Often sutures are not required afterward. As a result, the gums instantly look cosmetically appealing and the area heals much faster. You also experience a reduced risk of gum disease and gingivitis. True. We suggest seeing your periodontist for routine cleanings, as well as brushing and flossing your teeth daily.